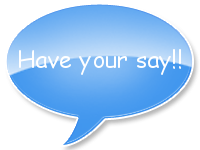 Start a topic, discuss the latest Tonbridge issues, or let us know what's going on in your part of town. Need to see an unwanted Christmas present or that unwanted item you found in the loft!! It is very easy to start a topic or comment on previously started topics. * Tonbridgesearch.com takes no responsibility for items sold on this site and does not vet the sellers, buyers buy items at their own risk and responsibility.